Pendant, 14Kt gold and enamel, red/white/blue, 18x12mm single-sided USA flag. Sold individually. Item Number: H20-1825FS Have a question about this item? 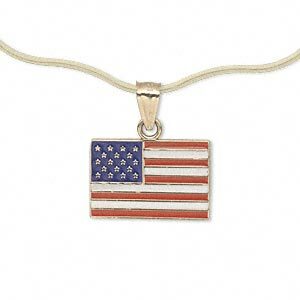 Solid, American-made 14-karat gold enameled American flag pendant. Securely soldered matching bail fits over most chains 2mm or smaller. Crisp detail, enameled surface and smooth edges reveal high-quality craftsmanship and style. View the selection of ready to wear chains. 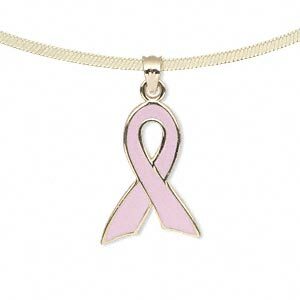 Pendant, 14Kt gold and enamel, pink, 14x9mm single-sided awareness ribbon. Sold individually. 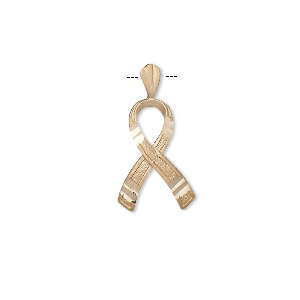 Pendant, 14Kt gold and enamel, pink, 21x15mm single-sided awareness ribbon. Sold individually. 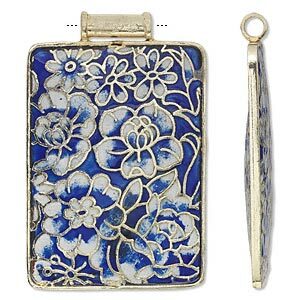 Pendant, cloisonné, enamel and gold-finished copper, blue and white, 52x37mm rectangle with flowers. Sold individually. 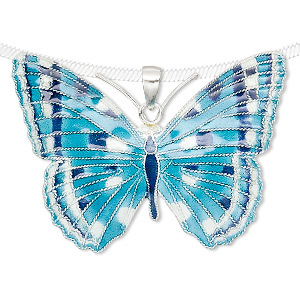 Pendant, enamel and sterling silver, blue / turquoise blue / white, 45x31mm butterfly. Sold individually. 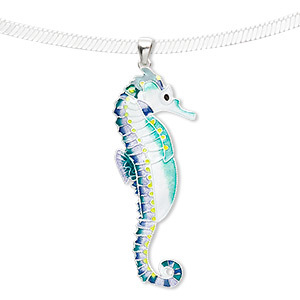 Pendant, sterling silver and enamel, white / green / yellow, 60x23mm seahorse. Sold individually. 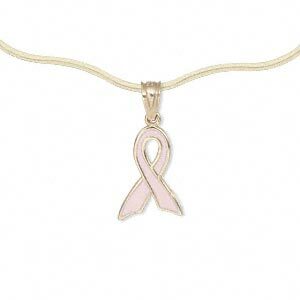 Pendant, 14Kt rose gold, 17x11mm diamond-cut awareness ribbon. Sold individually. 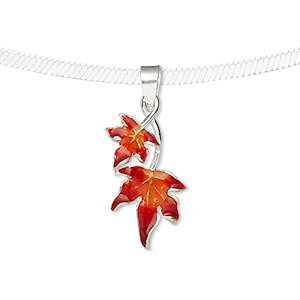 Pendant, sterling silver and enamel, red and orange, 24x12mm single-sided maple leaves. Sold individually. 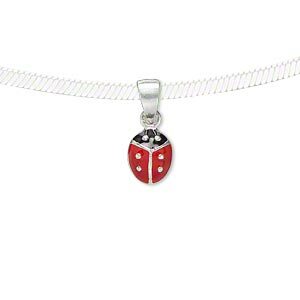 Pendant, sterling silver and enamel, red and black, 10x8.5mm single-sided ladybug. Sold individually. 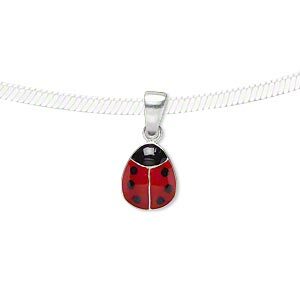 Pendant, sterling silver and enamel, red and black, 8x6.5mm single-sided ladybug. Sold individually. 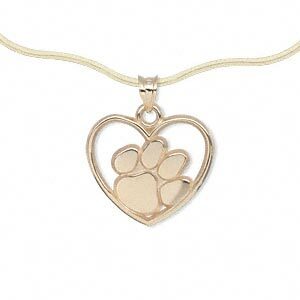 Pendant, 14Kt gold, 18x17mm single-sided Clemson Univeristy tiger paw print in heart, smooth back. Sold individually.